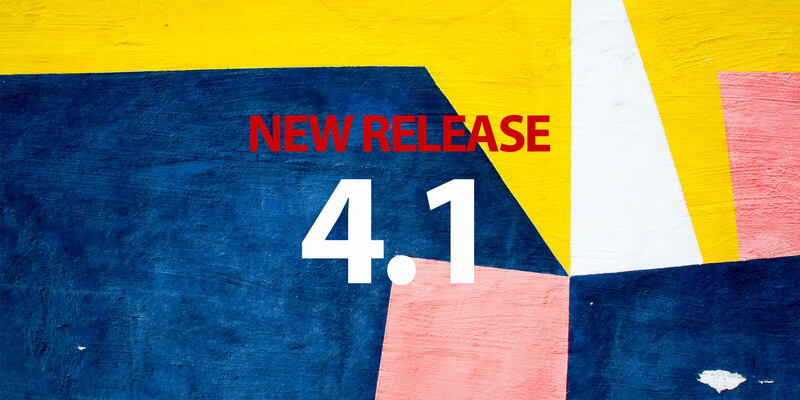 While Mobiscroll 4.0 was released a couple of weeks ago, I am proud to announce 4.1. We are working really hard to get you the best-in-class components for mobile and desktop. The highlight of the latest version is the Event Calendar. We learned a lot about how you are using the Event calendar, what you want to accomplish and we put that to good use. Let’s look at the various workflow improvements and new features. We’re introducing daily, weekly and custom range schedules. It’s easier than ever to list events that are happening inside a specific range that can be anything from a single day to multiple months. 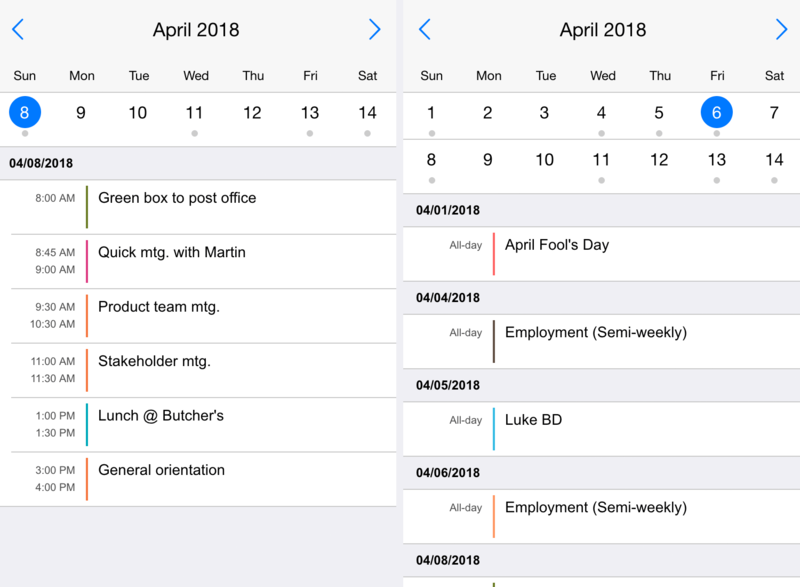 See the new event calendar in action. No need to build a custom list or use the listview. Everything is being handled inside the event calendar. You just pass the configuration in the view setting and everything will work out of the box. 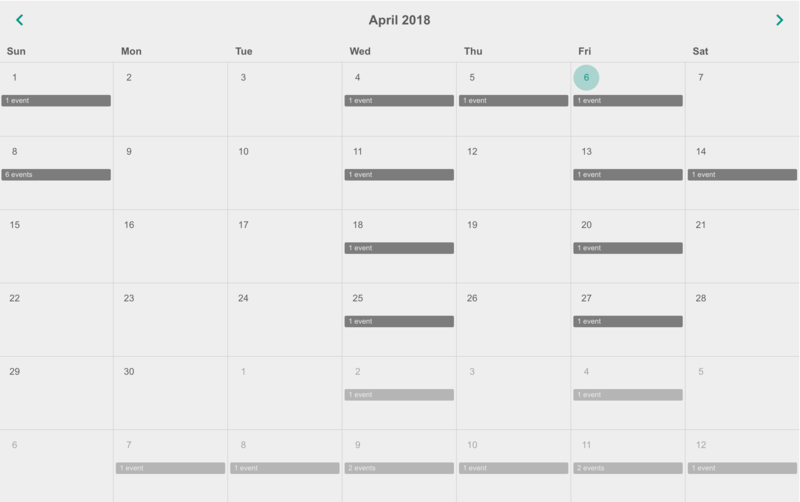 We’re introducing the desktop view for the event calendar. 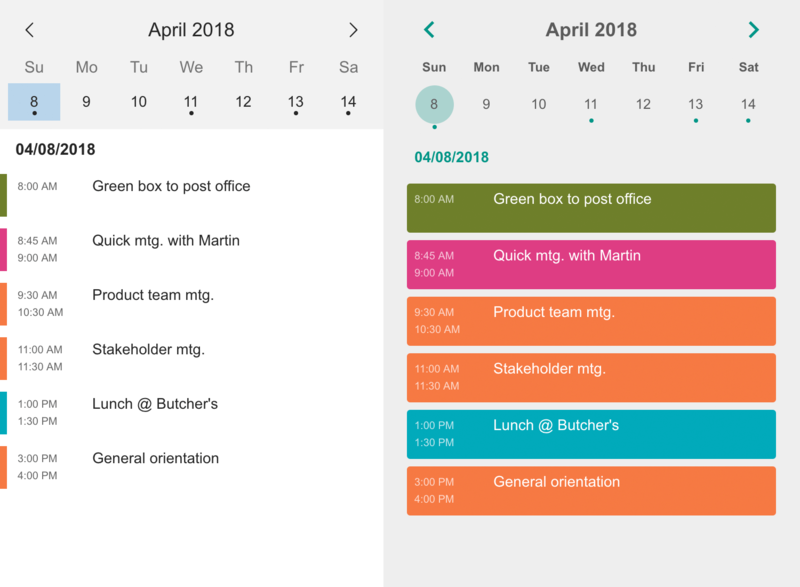 While the calendar looked really good on mobile it had some flaws on larger screens. This was a recurring question so we decided to handle it on a product level. At the moment the switch from mobile to desktop is automatic, but stay tuned for more granular responsive control. See how the event calendar behaves on desktop screens. Whether you’re only interested in a calendar view or a listview, you can simply pass and configure it in the view property. 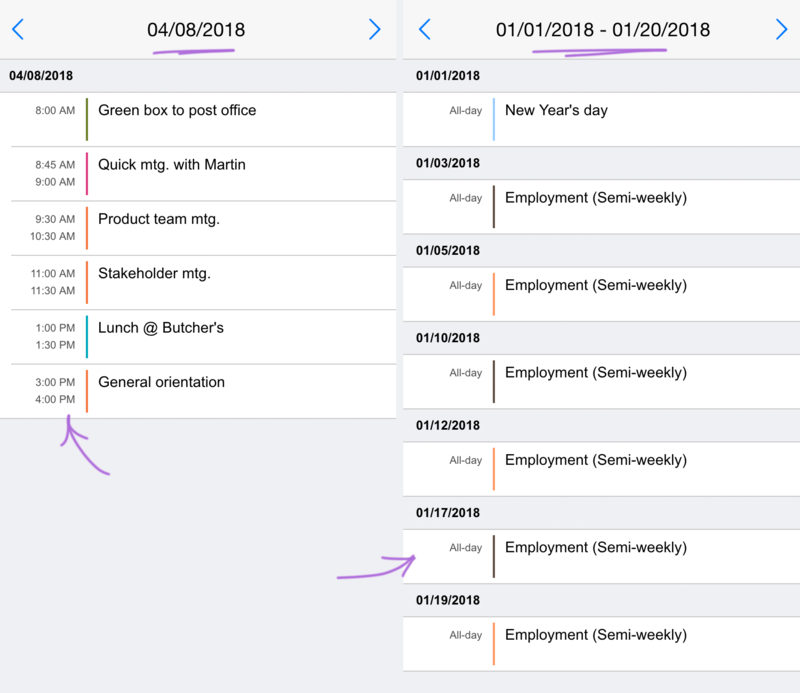 You can combine a calendar view and event list in the same instance. Try the different views and learn how to configure them. 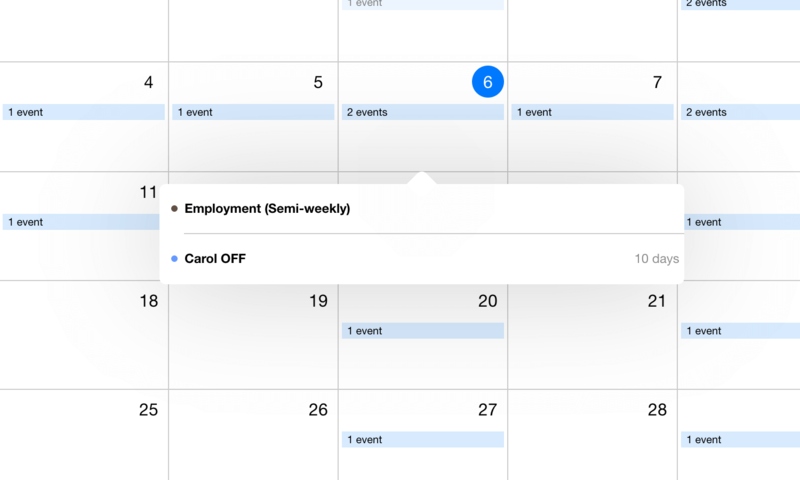 The event calendar supports two ways of rendering events. In a separate schedule view or in an event bubble that will pop when selecting a day. We’ve updated the iOS look & feel and added a max-width to the popover. Give this a try by clicking on a day with events. Besides the event calendar we’re shipping various fixes and improvements that you can see in the changelog. This release is available to all customers who have an active maintenance and it can be downloaded for free.